CLEMENCE MATAWU is a relatively unknown player in Zimbabwean football. But the diminutive midfield maestro continues to defy the odds. On November 28 2017, he carved a niche when he engraved his name into the football hall of fame in Zimbabwe. He was nominated among Premier Soccer League (PSL) soccer stars for the sixth time in his career. He now belongs to a rare class of footballers in Zimbabwe. Just a day before his 35th birthday, he wrote a new chapter in his career. He achieved a feat that only the legendary George ‘Mastermind’ Shaya and the great Sunday ‘Mhofu’ Chidzambwa achieved during their playing days. Matawu, a rare talent in Zimbabwean football is now part of the famous three who have featured on the soccer stars calendar on six occasions. He first appeared on the calendar in 2003, 2004, 2006 when he was crowned Soccer Star and between 2015 – 2017. Shaya who is record five-time Soccer Star of-the-Year, is one of the most-crowned footballers in the then Rhodesia. He won the inaugural gong in 1969, 1972 and between 1975 to 1977. He also featured as a finalist in 1971. Matawu has a career dating back to 2002 and with his fitness, the seasoned midfielder looks like he has one-or-two more seasons to offer his services. Speaking at the sidelines of the Soccer Stars-of the-Year selection in Harare, Matawu said he was elated to be among the best. “Its an honour to be in the group of three,” he said. “I understand now its Sunday Chidzambwa and George Shaya and those are legends of the game of football in Zimbabwe. He believes the secret to success has been hard work and his love of the game. “The love of the game and hard work in the field of play has carried me through,” said Matawu. “I wasn’t expecting (to be part of the soccer stars finalists) this season. Matawu’s choice of the big three is Rodwell Chinyengetere as Soccer Star, then Dominic Chungwa as first runner-up and second runner-up Moses Jackson. It has been the first time that the selected 11 did not include any goalkeepers. The distribution of the finalists has been concentrated in the middle of the park. Five midfielders made it on the calendar – Devon Chafa, Ocean Mushure, Terrence Dzvukamanja, Tichaona Mabvura and Moses Jackson. There are two defenders on the calendar – Kelvin Moyo and Qadar Amin. Three strikers, Dominic Chungwa, Rodwell Chinyengetere and Christian Epoupa made it on the finalists calendar for 2017. FC Platinum, Dynamos, Chicken Inn, CAPS United and Ngezi Platinum Stars provided two players each, with How Mine contributing one to the calendar. This year’s selection process has been received with mixed feelings from stakeholders. However, some soccer players feel their geographical location affected them. Lameck Nhamo, Triangle FC skipper feels despite their top-notch performances each season, it’s not easy to be recognised by journalists and other selectors. Nhamo has been a sensation in the game in the past three seasons and luck has evaded the pint-sized forward. “I was expecting to be on the calendar also but what they have done is a reflection of what they saw,” said Nhamo. “I think our home is far from journalists and if you see, at Dynamos, they play in Harare where there are many journalists who see them. “I feel Tichaona Chipunza needed to be there together with goalkeeper Elvis Chipezeze because of the clean sheets he had throughout this season. The Soccer Star of-the-Year will be unveiled on December 8 2017 in Harare. There are several pointers that the November Player of the Month Rodwell Chinyengetere and his coach Norman Mapeza will walk away with the Soccer Star of-the-Year accolade and Coach of-the-Year awards respectively. The Goalkeeper of-the-Year will be unveiled on December 8. 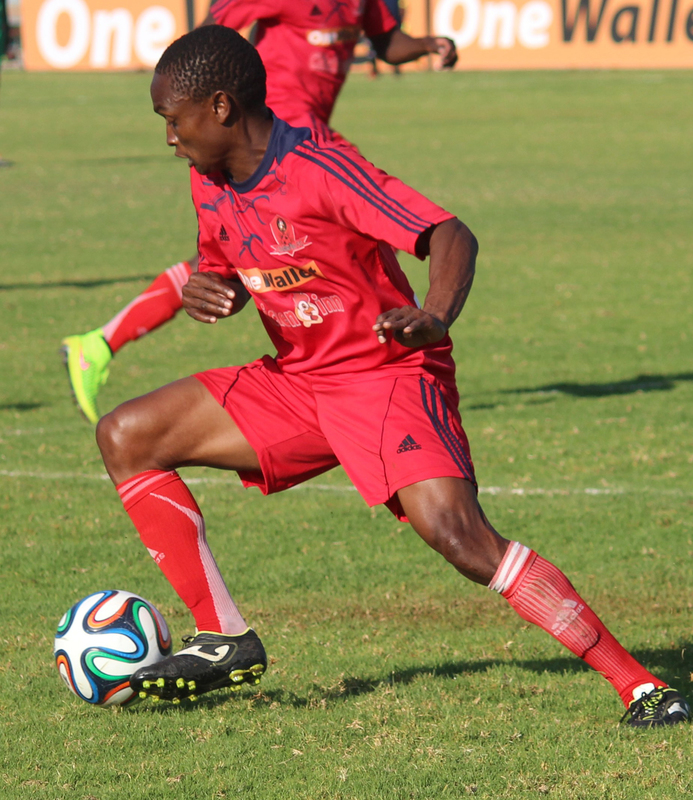 There is competition between Wallace Magalane and Chipezeze. Both have done well during the season. The Rookie of-the-Year will also be unveiled on the same night. Meanwhile, FC Platinum play host to First Division bound Harare City in the Challenge Cup slated for Mandava Stadium tomorrow. Harare City have already made history, becoming the First Division One side to be playing in the Confederation Cup. They might write another piece of history, if they win the Challenge Cup, and add silverware to their cabinet. Although Harare City gaffer, Philani Ncube whose team got relegated is confident of returning to the top flight, it will not be an easy walk in the park in the lower tier league. A win for FC Platinum will be another early Christmas present for the white metal miners who have just won their maiden title league. With the champions tag on FC Platinum, they need to avoid complacency in the match to see them bagging another silverware. It’s the first time the Challenge Cup is played in Zimbabwe. The PSL celebrates 25 years this year and the Challenge Cup is part of the commemorations. Christian Epoupa and Ocean Mushure (Dynamos), Devon Chafa and Dominic Chungwa (CAPS United), Kevin Moyo and Rodwell Chinyengetere (FC Platinum), Moses Jackson and Clement Matawu (Chicken Inn), Qadar Amini (How Mine), Terrence Dzvukamanja and Tichaona Mabvura (Ngezi Platinum Stars).